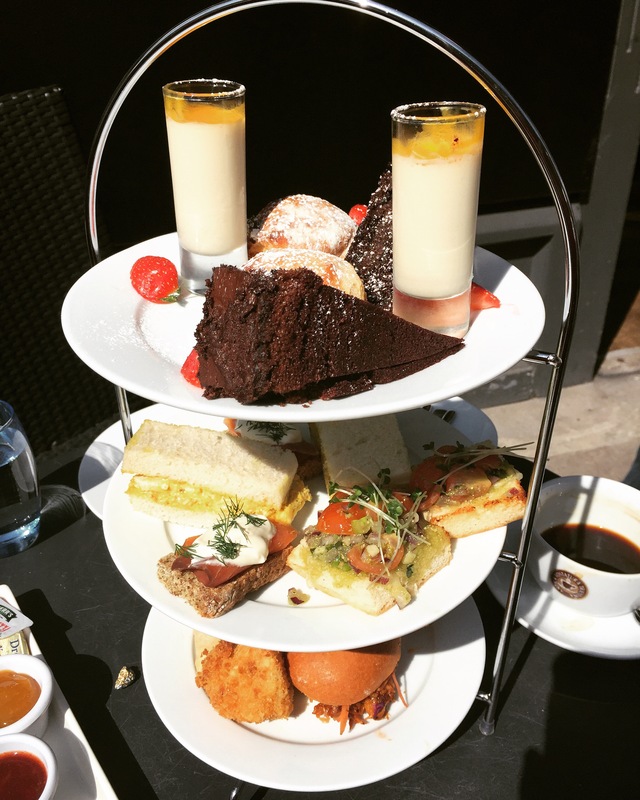 I often head to afternoon tea at different places around Belfast but a few weeks ago I was invited to try afternoon tea with a twist- Solo Belfast’s Fusion offering. I went to Solo Kitchen and Bar when it first opened in Belfast a few months ago and raved about it so I was interested to see how they would do afternoon tea and make it different to the rest! Barry and I went last Sunday on what was one of the warmest days of the year in Belfast so we asked if we could sit outside. 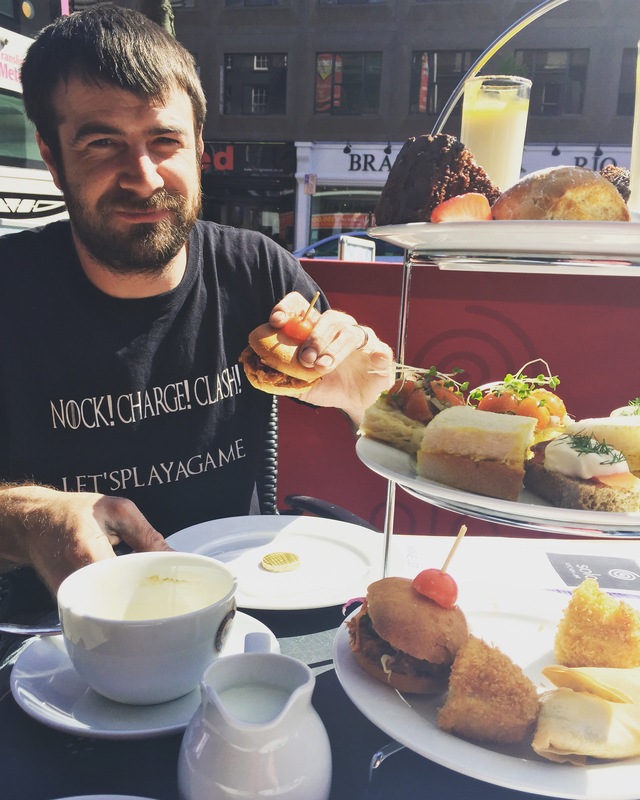 There were two seats free so we were able to enjoy our afternoon tea in the sun! How often do you get to say that here? The afternoon tea comes with scones, sandwiches and sweet treats (as normal) but the twist is the savoury nibbles. 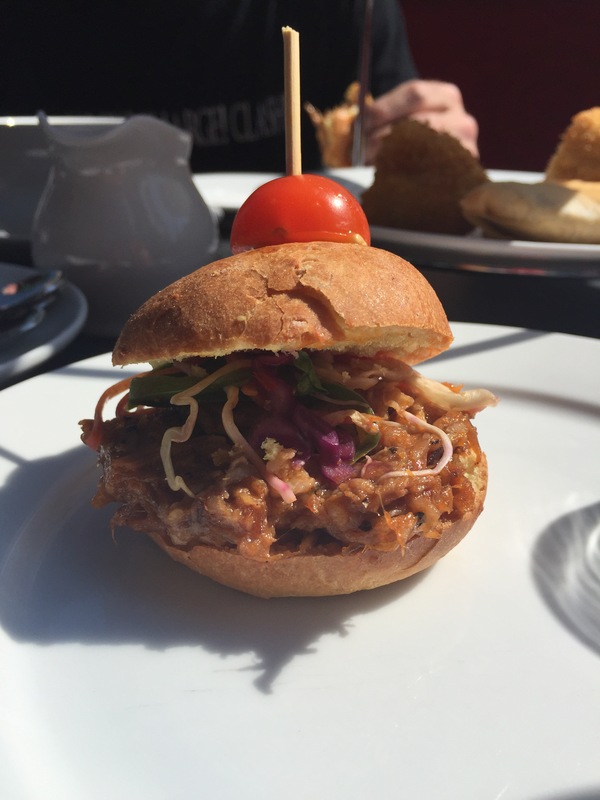 You are served up Panko breaded and fried brie cheese wedges, Samosas and BBQ Pulled Pork Sliders in a mini brioche bap! It was quite unusual as part of afternoon tea but a very enjoyable addition! The selection of sandwiches was Wild Atlantic smoked salmon with dill cream cheese on Guinness Wheaten bread, bruschetta and Coronation Chicken. 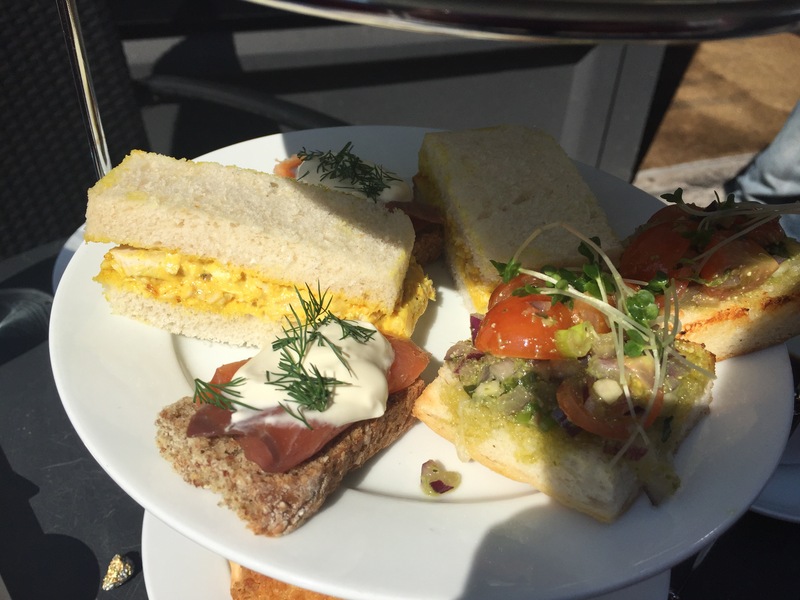 Again, the bruschetta and coronation chicken are not the type of sandwiches you would normally get at afternoon tea but they worked very well as part of this fusion sensation. Finally we enjoyed scones with jam, butter and fresh cream and mini desserts including chocolate cake. The cake was rich and gooey- just how I like it! We had a great afternoon and loved the mix of flavours and tastes- something I wasn’t expecting. 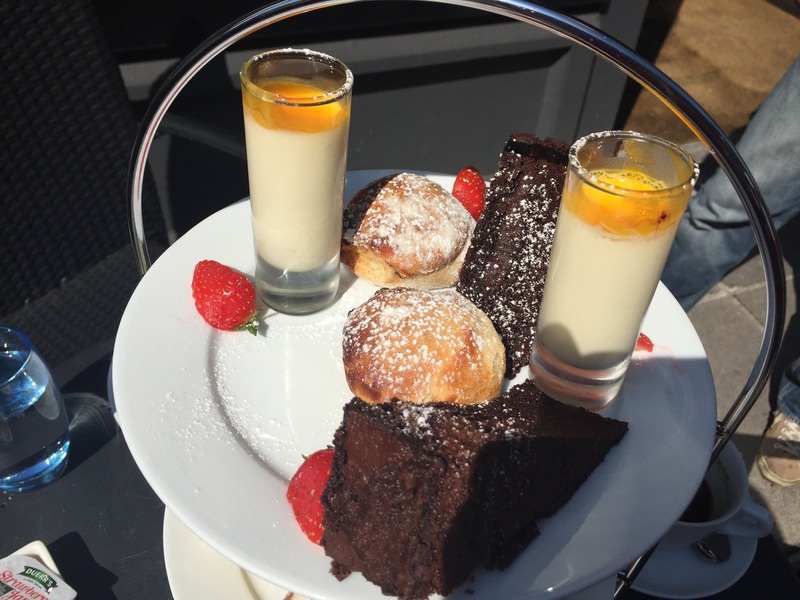 Fusion Afternoon Tea is £18pp and great if you’re looking for something a little bit different to the norm!